This course considers exhibitions (historical and contemporary), that have profoundly altered the study of art history and impacted the ways museums function. Students will gain a broad overview of influential exhibitions from around the world, which have led to new methods of display, collecting, and archiving, and have changed relationships between museums and their publics. Antirequisite(s): the former VAH 2296F/G, the former VAH 3386F/G. Prerequisite(s): Registration in a Visual Art Module or Permission of the Department. Extra Information: 3 hours: lecture, blended or online format. This course introduces to the ways that museums function. Class materials cover different kinds of museums, collections, and archives through case studies, debates, and problem solving. The class includes both the study of existing museums, collections, and exhibitions as well as participatory assignments and curatorial work. Antirequisite(s): the former VAH 2292F/G. Prerequisite(s): 1.0 from Art History 1640 or two of Art History 1641A/B-1648A/B, or the former VAH 1040 or two of the former VAH 1041A/B–1045A/B, or 1.0 essay course from Arts and Humanities, FIMS, or Social Science, or permission of the Department. Please consult Department for current offerings. What challenges do museums face in researching and displaying “difficult” material such as artefacts related to histories of violence, social and economic disparity, colonization, or environmental degradation? Students will learn how museums have both benefitted from and responded to historical and ongoing exploitation and inequality. Antirequistie(s): the former VAH 3384F/G, the former VAH 3386F/G. Prerequisite(s): 0.5 Art History 2600-level credits or permission of the Department. Extra Information: 3 hours: lecture, blended, or online format. This course will provide a "behind the scenes" study of museums. By working with community partners, students will learn about collections management, conservation, funding strategies and fundraising, cultural policy, and graphic design for museums. The course promotes experiential learning and provides vital transferable skills for students aiming to work in the cultural sector. Antirequisite(s): the former VAH 3383A/B/Y, the former VAS 3383A/B/Y. Prerequisite(s): Museum and Curatorial Studies 2620F/G or the former VAH 2292F/G, or permission of the Department. Third-year students with a departmental average of at least 75% have the opportunity to take part in a project-based experiential learning activity at one of our many studio, museum, gallery, or heritage locations in London and surrounding areas. Students will work closely with the Project’s Supervisor. In this capstone seminar class, students work together with the professor to plan and execute a major curatorial project. This class provides essential skills and practical experience for those hoping to move into careers in the museums and culture fields. Antirequisite(s): the former VAH 4485E, the former VAS 4485E. Prerequisite(s): Registration in year 3 and 4 in Honors Specialization in Art History and Museum Studies or Major in Museum and Curatorial Studies, or permission of the Department. Prerequisite(s): Registration in years 3 or 4 of a Department of Visual Arts Module, or permission of the Department. Extra Information: 3 hours: seminar, workshop, blended or online format. Third or fourth-year honors students with a departmental average of at least 75% have the opportunity for experiential learning in the fields of Gallery, Museum, and Heritage Studies. Students work with the Undergraduate Chair on a project at one of the many studio, museum, gallery, or heritage locations in London's region. Fourth-year students with a departmental average of at least 75% have the opportunity to take part in a project-based experiential learning activity at one of our many studio, museum, gallery, or heritage locations in London and surrounding areas. Students will work closely with the Project’s Supervisor. 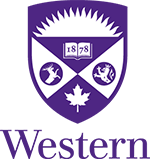 Fourth-year student with a departmental average of at least 80% may elect independent study as one of the half-year courses chosen from the 4000 series. Before registering for the course, the student must obtain from the supervising professor approval of a detailed plan of study.